So, in this article, our main focus is on AdSense URL Channels. We already have discussed about the High Paying AdSense Ad Units and importance of the First AdSense Unit. For most WordPress Blogs, the Top Landing pages are often the posts, not the Categories. But, those who have Sitelinks, for them Categories should have an importance too. You will get your Top Landing pages from Google Analytics. 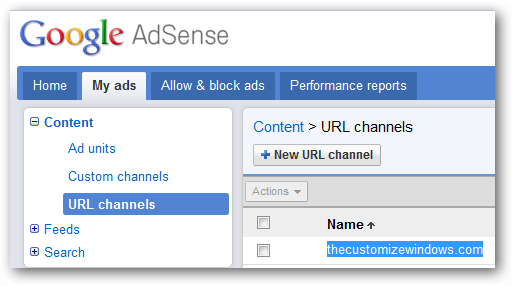 Why we need to create custom AdSense URL Channels? It is probably better to spend few thousands on Adwords before implementing the AdSense URL Chanels in the way Google advices. However, we are describing in a way, that might help both AdWords users and non-users. Advertisers could find the right micro-niche if you use these AdSense URL Channels. Normally, over 80% users uses blindly, but test our method, it will increase your revenue. This will happen simply because a person who is searching for blogs who uses AdSense will try to maximize the clicks by selecting micro niche websites. AdSense URL Channels can show the Advertisers the right channels plus visitors will see the very relevant ads, so the CTR will obviously increase. Only one free WordPress AdSense plugin can do the job properly. We wrote about Ad Injection ago. First, you need to understand which Top Landing Pages are making the real Money and Which Keywords are most important for your blog. Both these data are supplied through Google Analytics, however, we will suggest to use Webmaster Tools for selecting the Keywords to create the custom AdSense URL Channels and Ads. Among the AdSense URL Channels, the first one that you can see is for our HomePage. The most important part is to inject these Ads of AdSense URL Channels properly through the Plugin. The plugin developer has done a good job, he has written the needed php script to inject these Ads in the right place. This Article Has Been Shared 3159 Times! Maximize AdSense Revenue from your blog or website using Google’s various tools, most of them are free of cost for the Publishers. share how to use adsence for youtube videos…? Surely, we will publish such tips very soon. Cite this article as: Abhishek Ghosh, "AdSense URL Channels – Get Maximum Revenue From WordPress Blog," in The Customize Windows, September 22, 2011, April 24, 2019, https://thecustomizewindows.com/2011/09/adsense-url-channels-get-maximum-revenue-from-wordpress-blog/.